Aspirinox Alloys Inc. is one of the leaders in manufacturing, supplying and exporting Alloy Steel WP5 Buttweld Fittings. Our unique product, grade WP5 Alloy Steel Pipe Fitting is easy to install and provides a strong hold over pipes of varying sizes attached to it. AS WP5 Buttweld Fittings are produced with high-quality raw materials to withstand the pressure of water or any other fluid. They can connect at least four pipes together to allow the liquid to flow smoothly in different directions simultaneously. Our offered range of ASTM A234 WP5 Alloy Steel Buttweld Fittings offers durability, fluidity, friction resistance, thick walls, and minimum turbulence. 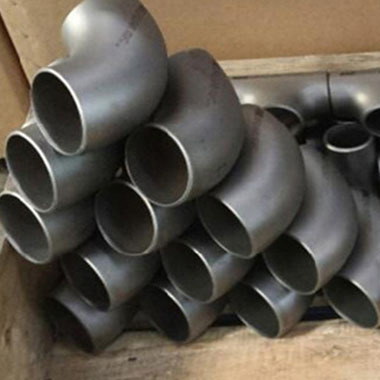 These pipe fittings are used in various industries for supplying a non-leaking piping connection. As such, they are made of premium quality in varying sizes with adequate inner and outer finish. They are available in different diameters and types which include Alloy Steel WP5 Elbow, Reducer, Stub End, Tee and Long Radius Bend pipe fittings and many more. They are manufactured by a talented and skilled force which provides resistance to high temperature and rough weather conditions. Feel free to contact us to get a free and quick quote with detailed information. Specifications for WP5 Alloy Steel Buttweld Fittings. If any specification is not mentioned here, please use the contact button for quick quote. Contact us or click on request a quote button to get our competitive prices for WP5 Alloy Steel Buttweld Fittings. Aspirinox Alloys INC maintain the large inventory of high-quality WP5 Alloy Steel Buttweld Fittings for sale to our clients throughout globally.